Last year Adrian Voce worked with Islington Play Association on its project to secure land for adventure playgrounds in the inner London borough. Here, he describes the work and its outcome – and why finding such a solution to this issue has never been more important. It is not just benefit recipients for whom 1 April dawned this year like the cruelest of jokes. As the Conservative-led coalition government ushers in a new era of unprecedented reductions in the role and capacity of the state to help those in need – a chilling landmark which many see as the end of the Welfare State as we know it – many millions of people who use or work in public or voluntary sector services are deeply anxious about what the future holds. With more than 50 per cent of local authorities making cuts to, or outsourcing, children’s and youth services, following on from the ending of ring-fenced government funding for play in 2010, there is no doubt that the sector is suffering. Although a clear national picture is hard to find it is clear that play services and play spaces are taking a bigger hit than most. In trying to resist these cuts most of the focus has naturally tended to fall on funding. It is for economic reasons that services are being closed and playgrounds torn down, with councils no longer believing they have the revenue to maintain them. Alternative business models, new funding sources and the potential of social enterprise schemes to help keep play projects open are the order of the day. Having enjoyed all too few days in the sun before the new government tore up the play strategy – and our hopes of a sustained period of growth with it – the sector now has to find new ways to fund itself. But biting cuts to local authority budgets are not the only effect of the coalition government’s mission to shrink the role of the state that will impact on play provision. Indeed one new policy change effective from 1 April has a potentially longer-term and even more seriously harmful effect on the nation’s children than the funding drought (which will, we have to hope, ultimately come to an end). Simon Jenkins has written in the Guardian about the new National Planning Policy Framework, the slim-line document published in March 2012, but effective from this week, designed to free up the planning system in favour of “sustainable development”. 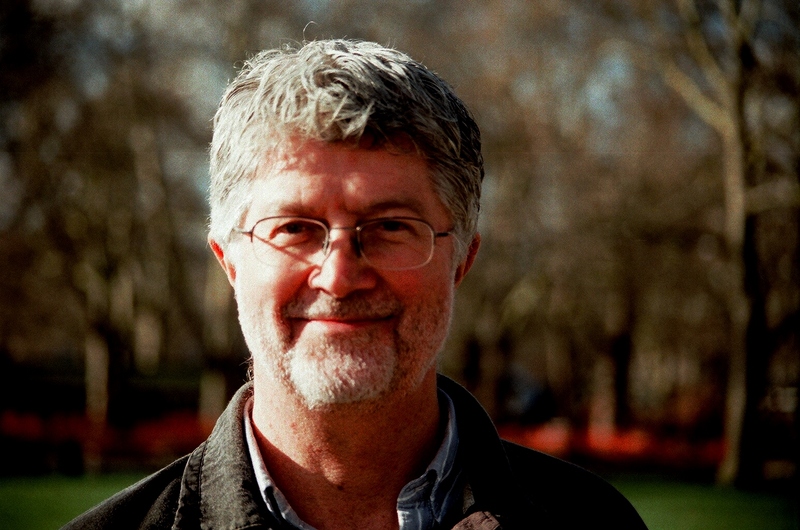 Replacing a comprehensive range (over 1000 pages) of planning policy statements and guidance with a mere 50, Jenkins believes that the document, originally intended to simplify and clarify an overcomplicated and opaque system, was greatly influenced by “the developer lobby hijacking an important but emotive policy on housing” and that “its purpose is (now) brutally simple: to release for potential building the 60% of England’s land area that is unprotected countryside”. Once implemented, he warns, “this change is forever”. Whilst the effect of this drastic new approach may be most visibly on the countryside, the massive easing up of planning regulations in favour of development also makes more vulnerable those pockets of land in towns and cities which may currently be in community use. Commonly without proper deeds of title or secure long-term-term leases, community projects like adventure playgrounds are therefore not only at risk from the squeeze on local authority revenue budgets, but from newly liberated developers, who will see easy pickings in many local authorities’ community land portfolios, just as the councils themselves will be under pressure to realise their assets. Add to the mix the fact that many have yet to produce the local plans required of them under the Localism Bill and we are looking at a perfect storm for community play. Adventure playgrounds, because they mostly occupy sizeable inner city sites, are particularly at risk. Islington Play Association (IPA), in the north inner-London borough with the least open space – and the most adventure playgrounds – of any local authority area in the country, has found a solution. 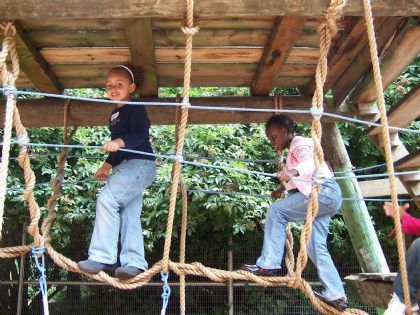 In June 2012 the local charity, then celebrating 40 years of supporting community play provision, especially the voluntary managed adventure playgrounds in the borough, announced that the council had adopted a new legal instrument known as a Deed of Dedication for each of Islington’s 12 adventure playgrounds. Appended to the land title documents and therefore applicable to all leasehold agreements, the deed defines a restricted – or “dedicated” – use for the land, in this case children’s free adventure play, and prevents any other use being made of it “in perpetuity”, without the consent of all parties. The dedication is safeguarded by assigning its custody to a third party – in this case Fields in Trust (formerly the National Playing Fields Association), whose written consent is required before the land can be used for any other purpose. Thus, whatever arrangements may evolve (or dissolve) between the landholder (the council) and the leaseholder (the service provider), the adventure playgrounds must remain as such. Fields in Trust has no interest in the title other than safeguarding the dedicated use. As a charity of over 100 years standing, Fields in Trust offers the playgrounds a safe pair of hands. IPA was keenly aware of the growing threat to the treasured adventure playgrounds from the dire economic circumstances and the pressure on land in such a crowded and upwardly mobile part of inner London. With funding from the City Bridge Trust, it had researched the issue for two years – first looking at the feasibility of the council being persuaded to invoke community asset transfer powers to move the land into a bespoke community land trust, but eventually settling for this less cumbersome solution. One immediate consequence was that IPA was left free to bid for, and win a new service provider contract for the voluntary managed playgrounds, as it announced in February. Becoming a Play Land Trust would have meant it taking on landlord status for the playground sites, thus potentially ruling it out of also becoming the service provider. With the council determined to find a single provider, compared to the several small and unsustainable voluntary management committees that were in place, this itself was a good result: the voluntary organisation with the best experience of, and closest ties to the adventure playgrounds is now running them. The longer-term consequence is even more important. Because Islington’s adventure playgrounds no longer occupy prime real estate in one of the most desirable parts of the capital – the assets being now effectively devalued by the highly restrictive deeds – they are doubly protected for play for the foreseeable future. This should make long-term leases much easier to negotiate and ambitious fundraising plans, capital grants or social enterprise business models more achievable: an elegant and very timely outcome, just as the coalition government’s love of burning “red-tape” would otherwise have given the green-light to businesses for whom children’s right to play is an inconvenient irrelevance. Thoughtful as always Adrian! Had a great day at Islington today with Bob, IPA and AP workers looking at the new adventure play contract and protection context – in contrast to the rest of the country. Think some folks hadn’t realised how lucky they are in comparison! Thanks Mick, yes Islington has become a great model. The challenge is to replicate it elsewhere. Glad IPA is getting the support of the likes of you and Bob. Please trumpet this far and wide Adrian! I will reblog it, for what it’s worth, and plug it on facebook. Where else is it being publicised already? Have you (or IPA) arranged an interview/item in CYPNow? Nicely put piece of good news for children in Islington. Could it be used in rural areas where accessible sites are also at risk from infill building. Very useful, thanks, Adrian. Too late for our council playgrounds I’m afraid, but we may be able to achieve it for the community.